Note: All the details, instructions, software, and extra pictures can be downloaded from this link. 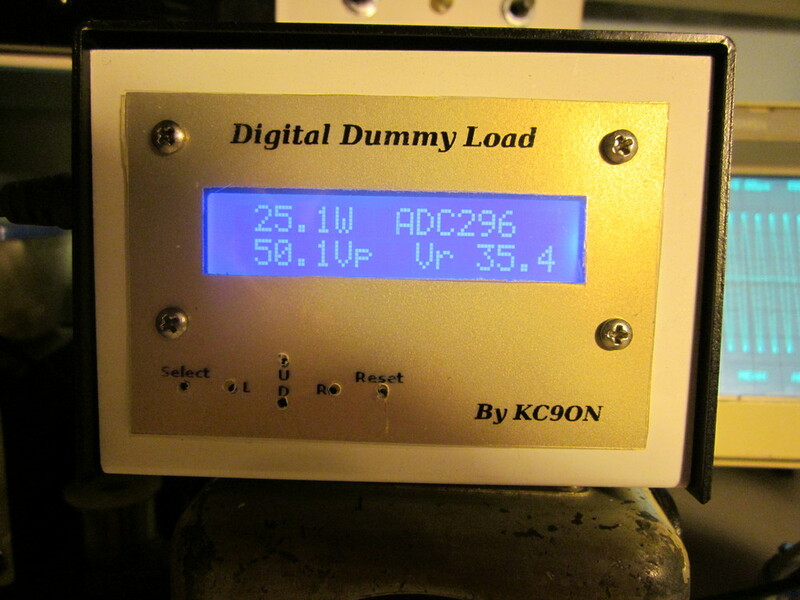 I love to home brew and repair equipment but my bench lacked a dedicated dummy load. After dismantling my station more than several times to borrow a dummy load I decided it was time to dedicate one to the bench. Sure you can just buy a nice 200-300W dummy load for about $50 but thought it would be more fun to actually build one. 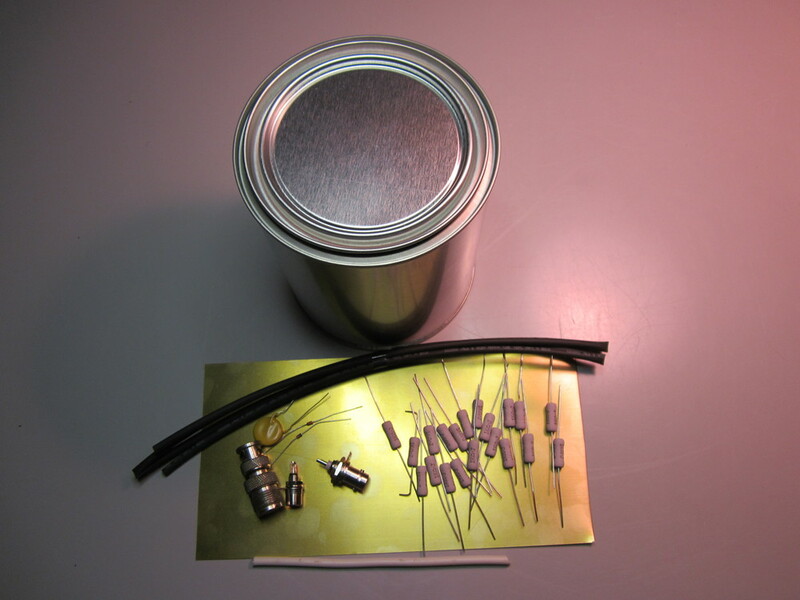 After scouring the internet I can across a few nice articles from K4EAA and AI4JI which used common 1K 3W resistors and some mineral oil in a paint can. I noticed many of these schematics contained a simple BAV21 diode detector to read a relative voltage and calculate the power being sent into the load. We know from Ohms law that we can calculate power by converting the peak voltage across our load to RMS then squaring RMS voltage and dividing by the resistance. 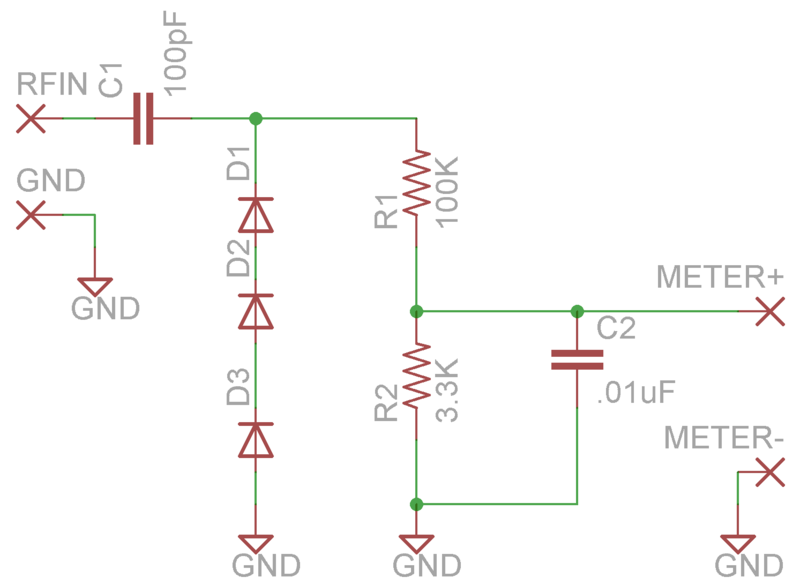 Not wanting to look up a table of values or do a math calculation every time made me curious if a micro-controller could give me an easy to read approximation to the power output. During testing I ran across several problems with the diode detector. One was the diode was easily destroyed by accidental shorting to ground (which will cause a high SWR!). Second I discovered the BAV21 diode only has a switching speed of 50nS, which is about 20MHz. With that I noticed large amount of errors in voltage above 15M (21MHz). Lastly I did not want to play with 150 plus volts coming out of the load. Between these problems I decided to use an RF probe method to detect the peak RF voltage and incorporate the voltage divider as shown in the schematic below. I chose 3 1N4148 diodes in series to handle the peak reverse voltage while allowing higher frequencies. The values of R1 and R2 were chosen to allow up to 250W (or 158Vpeak) of RF input while keeping the output voltage below the maximum 5V our micro-controller can handle. 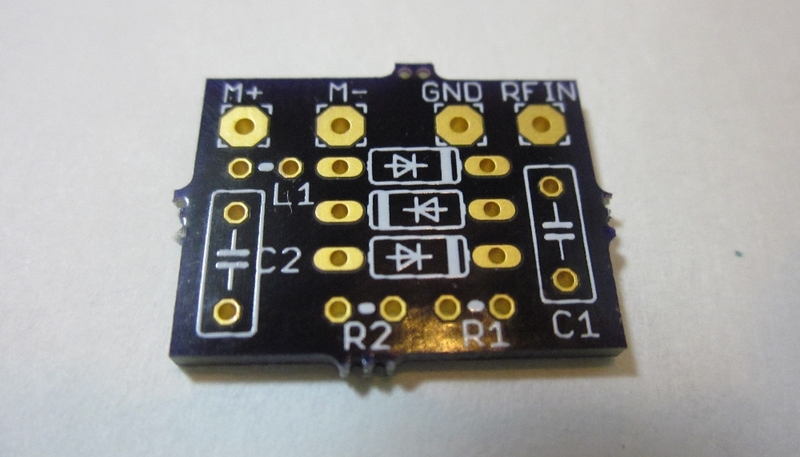 Note: for QRP you can only use 1 diode, change the resistance divider and gain a little more sensitivity! The parts can be laid out on a piece of proto board. I also later on created a PCB board to keep things clean and have a few spares available upon request. Attach the “TO LOAD” ends across the Dummy Load while observing ground and keeping the leads as short as possible. The “METER” ends will eventually attach to the micro-controller via an RCA connector and cable. Before connecting to the controller board, test the adapter by transmitting into the load with a known power/SWR meter. A high SWR indicates something is incorrect (like a bad diode or miss-wiring). Optionally you can also use an oscilloscope to measure the RF voltage at the Dummy Load (not shown, also dangerous voltages are present!). Using a DMM you should see positive DC voltages at the output of the adapter. For example using 100W at 7.15Mhz(40M) should be about 3Vdc. Using your highest power (250W max), make sure the voltage does not exceed 5Vdc or is negative. 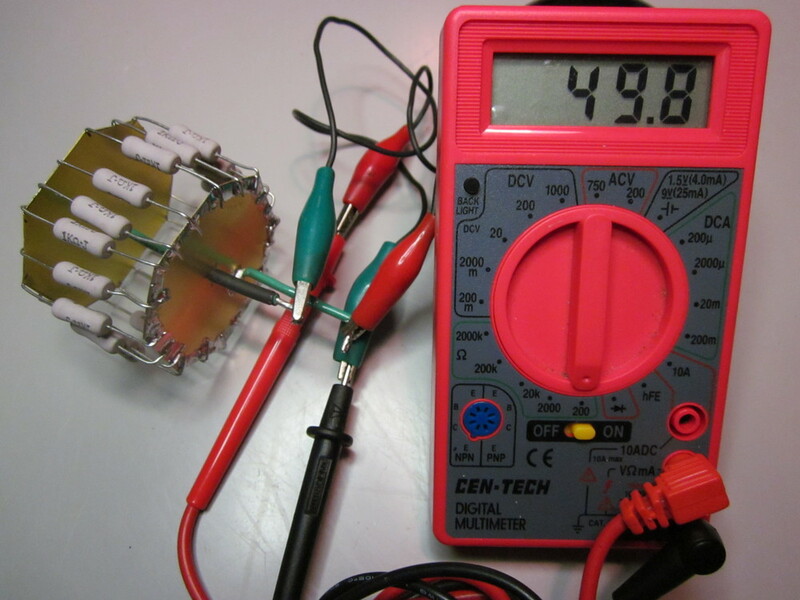 A voltage above +5V or below 0V can destroy the controller IC!! Notice there are some variations between the expected and measured readings which grow at higher power and bands. Much if this is caused by the diode voltage drops and tolerances of our divider resistors. Fortunately we can correct most of this easily in software. Now that we have a 0-5Vdc signal we can interface it to our micro-controller board. I settled on using an Arduino micro-controller board and LCD keypad shield to keep things simple and allow new people a chance to experiment with micro-controllers. Since there is only a Zener protection diode and RCA connector needed we can just wire those onto the shield module to analog port A1 and ground. Optionally, an audible tuning tool can be added by connecting a piezo buzzer and switch to digital pin #2 which produces a tone proportional to the voltage being read. 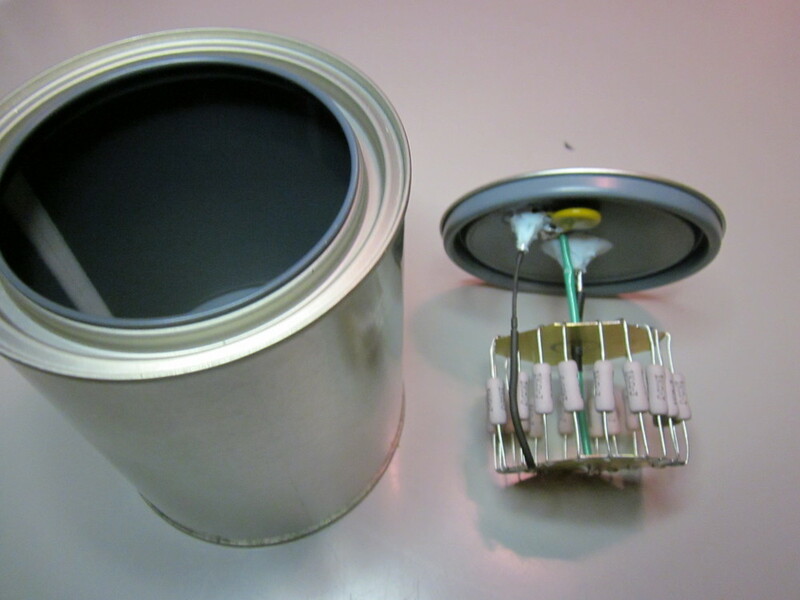 This can also be substituted with a regular speaker and 220 ohm resistor in series. Power to the board is supplied by a USB type phone charger or via the PC USB cable. I have also kept the software a minimal design to help beginners get started in programming. Note: the download package contains software with greater functionality. 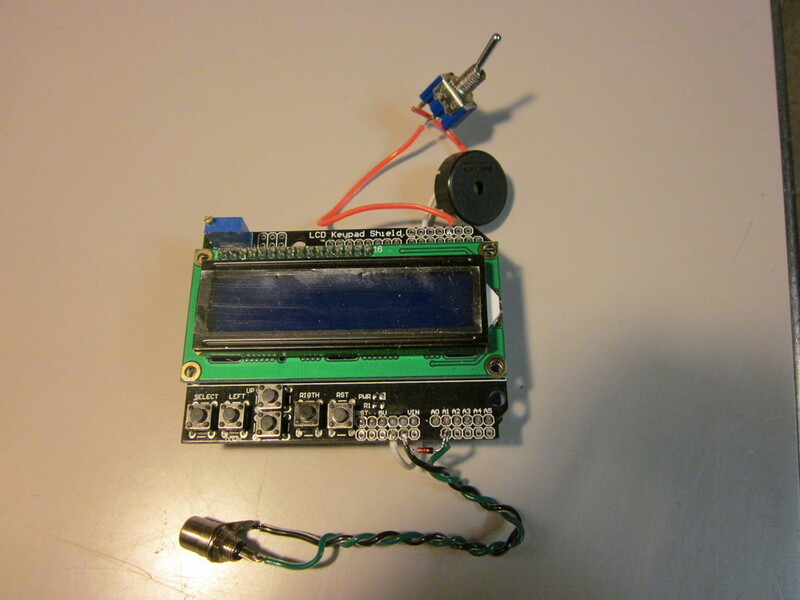 The first part of the program sets up the LCD display telling the controller what I/O pins are being used. We also set up our serial port as well as tell our controller any calibration needed and the resistor divider ratio we used from the adapter board. This is calculated as (R1+R2)/R2 or in our case (100K+3.3K)/3.3K = 31.1. The main loop of the program collects a few average samples of voltage from our load and calculates the voltage read into Watts. After calculating we write the value to the LCD display and serial port, produce a tone for the speaker, and finally wait half a second and start over. 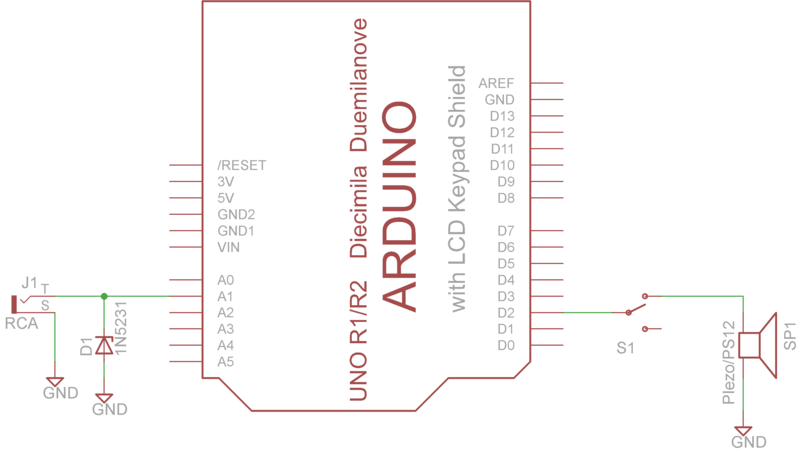 To program the Arduino controller is a simple matter of installing the PC software and plugging the controller board into your PC with a USB cable. 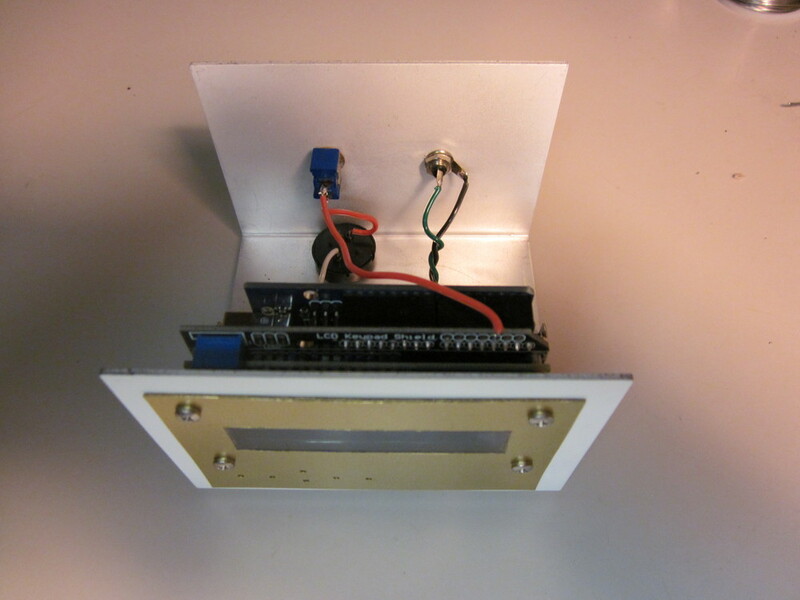 A great step by step tutorial can be found on the Arduino web site. Once the software is loaded and USB cable plugged in to our Arduino we can enter our program into the editor. Pressing the check box button will make sure everything is correct. Pressing the upload button will send the program to the controller board and if successful will begin displaying our power readings. While this simple adapter is not the most accurate device, it compares pretty close with my Bird 43 watt meter +/-5% tolerance, as well as some of my other meters (if not better!). The cost of the whole project was about the same as purchasing a dummy load and there is a digital display as a bonus. Don’t be afraid to experiment, improve, and add on to this project. Since building the dummy load and watt meter I have slightly modified it for 2M operation. The mod consists of adding a 100uH inductor between the adapter board and RCA connector. It may not hurt to include the inductor even for HF to reduce stray RF coming down the meter cable. The SWR on 146MHz is about 1.4:1 and the power readings are slightly lower than actual for low powers but provides a basic reference for transmitter testing.